Finally, Nikon is offering a DSLR with two of the most important value-added features that have been dominant in photo sharing – GPS and WiFi. For those who are used to adding an awkward dongle to do one of both of these, this is certainly a welcome change. With the widespread support of location tagging by most photo sharing sites and by image editing software, it is a nearly essential feature for new cameras that has been late in coming to DSLRs. 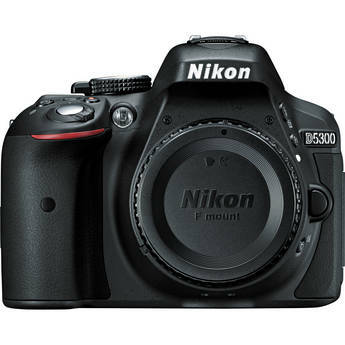 Will the Nikon D5300 be right for you? When the Nikon D5300 ships in November, it will retail for $800, significantly less than the Nikon D7100, and it is also smaller and lighter. With the integrated WiFi and GPS, it will even have some features not shared by its bigger sibling (although I’d expect to see them whenever the Nikon D7200 is introduced). The swivel viewfinder is also a plus. I doubt the Nikon D5300 will be quite as rugged as the Nikon D7100, and there could be other user interface quirks that emerge once it ships, but if you’re not tough on your gear and simply want the best images you can in a 1 pound package, it could be ideal.